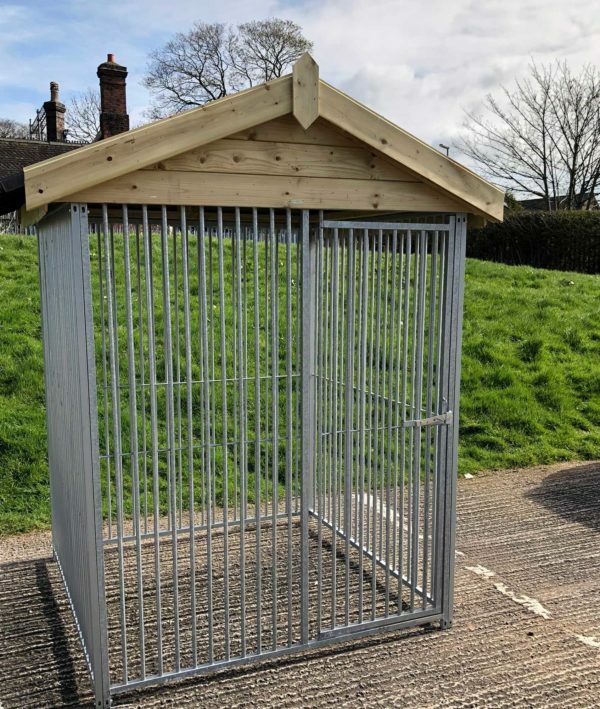 These new dog run roof systems are manufactured in our workshop and are tailored to customers sizes. All you need to do is contact us with the dimensions and we will make your dog run roof system to the required sizes. We then deliver this as a kit to you with all holes pre-drilled and we supply the fittings so that they are easily assembled by you. 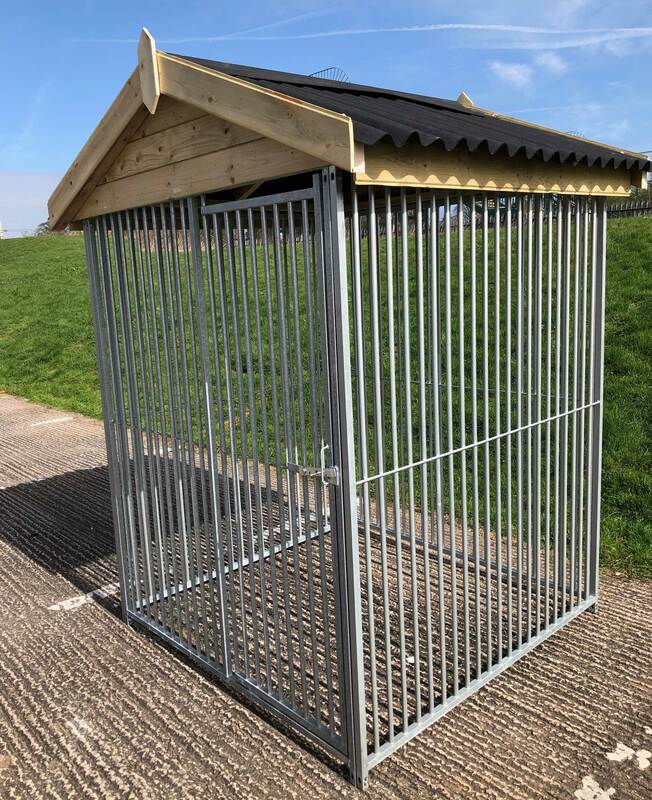 We are the only company in the UK that manufacture roof systems for dog runs and this has been done to satisfy the demand from our customers for both bar and mesh dog runs who wanted to protect their dog from the elements with a roof system that looks right. 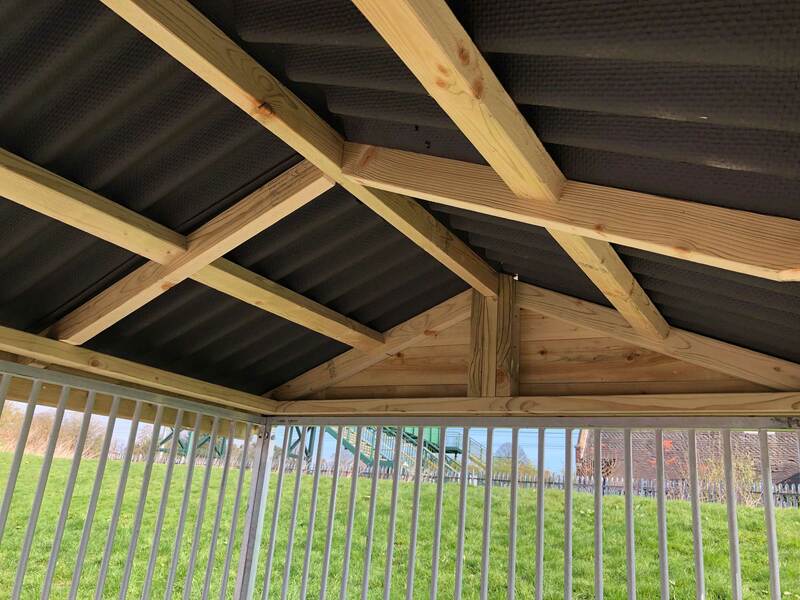 These roof systems are manufactured from 90mm x 45mm rounded corners tanalised timber that has been treated for longevity to make the roof trusses, so these have been designed to be strong. The roofs are then covered in Onduline to keep the sun and water off your dogs in the run area. If you are interested in these then please contact us with your sizes and we will quote you to deliver your bespoke dog run roof. Please email your dimensions to sales@easyanimal.co.uk.